An heiress with a daring proposal. An earl who’s determined to resist her. And a love that just might be written in the stars, in First Earl I See Tonight by Anna Bennett. A talented artist, Miss Fiona Hartley desperately needs her dowry money to pay off a blackmailer set on ruining her sister. 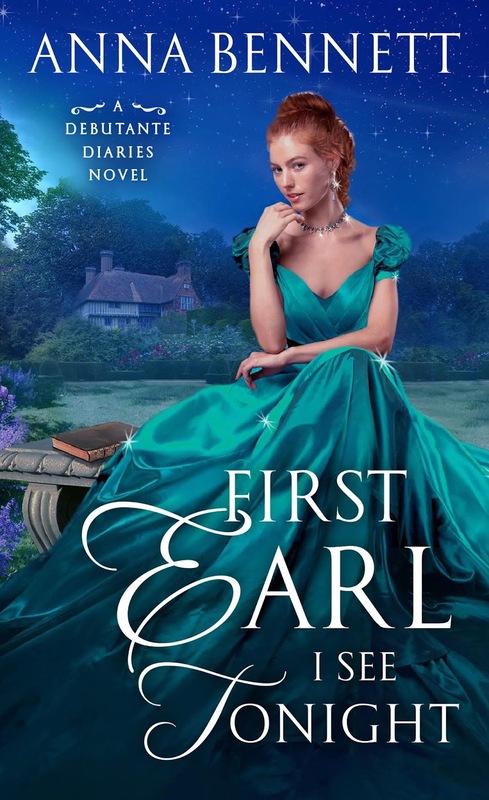 The handsome earl seems a sensible choice for a husband…if only she can convince him that romance will play no part. But marrying in name only may prove difficult for Fiona. Gray can’t help but be dazzled by her genuine warmth. Yet as their feelings deepen, Fiona’s deadline looms. Will her secrets destroy them, or is true love their final destiny? Gray exchanged the expected pleasantries, then turned to Fiona. A halo of loose curls crowned her head, and she worried her plump bottom lip. Her pink gown exposed the long column of her neck and the curve of her shoulders; he could almost see her pulse beating wildly at the base of her throat. His instincts screamed for him to run right out of the ballroom, and yet his boots remained rooted to the floor. Worse, before he knew what he was doing he’d asked her to dance. “It would be my pleasure,” she stammered, taking his arm. As he led her to the dance floor he questioned his own good judgment—and not for the first time that day. He’d witnessed Miss Hartley trip and tumble into the orchestra at the Millbrook ball. He’d been dancing with Helena at the time but had paused to help her up. So much had changed since then. falling, but just to be safe he tightened his hand on her waist. And they began moving to the music. “I did,” he said noncommittally, twirling her beneath his raised arm. When she faced him again, she looked him directly in the eye. “What do you think of my . . . offer?” she asked, her voice cracking on the final word. “True, but that is easily rectified, is it not?” There it was—an unmistakable hint of desperation. And a sense of urgency that even her letter hadn’t conveyed. “It is,” he conceded. “However, I suspect that the more we know each other, the less we’ll like each other.” Cynical but true in his experience. His parents certainly hadn’t grown fonder of each other. Neither had he and Helena. “So, you’ll consider my offer?” she pressed. “I will not,” he said firmly. Under different circum­ stances, her fortune may have tempted him. But she was clearly intent on using him for her own purpose—and he suspected that she’d set her sights on him for reasons be­ yond his title. After all, there were half a dozen peers in attendance right now who’d leap at the chance to marry a young and unconventionally beautiful heiress. But he was not one of them. “It seems rather closed­minded of you to dismiss me summarily,” she shot back, displaying a boldness that was borderline rude—and refreshing. rebuff and wouldn’t wish anyone that sort of pain and humiliation. “Surely you must be curious—as to why I did it.” She looked up at him, her shining blue eyes challenging him to deny the truth of her words. Gray’s torso collided with Miss Hartley’s chest, and she stumbled two steps before he wrapped an arm around her slender waist, catching her just before she landed on the parquet floor. She gasped and clung to his jacket, her ex­ pression an odd mix of relief and mortification. Their faces were so close he could see unexpected dark blue flecks in her irises and the individual freckles dotting her nose. “Forgive me,” he said. Gray looked over his shoulder to see how the other couple fared, surprised to find Helena and her dance part­ ner smiling apologetically. “You won’t regret this,” she said earnestly, but the prick­ ling sensation between his shoulder blades suggested he would. In spite of her naïveté and candor—or maybe because of those things—Miss Hartley could prove far more dangerous to him than Helena had ever been. Anna Bennett started swiping romances from her mom’s bookshelf as a teenager and decided that books with balls, dukes, and gowns were the best. So, when she had the chance to spend a semester in London she packed her bags—and promptly fell in love with the city, its history, and its pubs. She dreamed of writing romance, but somehow ended up a software analyst instead. Fortunately, a few years and a few careers later, Anna found her way back to writing the stories she loves and won the Romance Writers of America’s Golden Heart®. She lives in Maryland with her husband and three children, who try valiantly not to roll their eyes whenever she quotes Jane Austen. 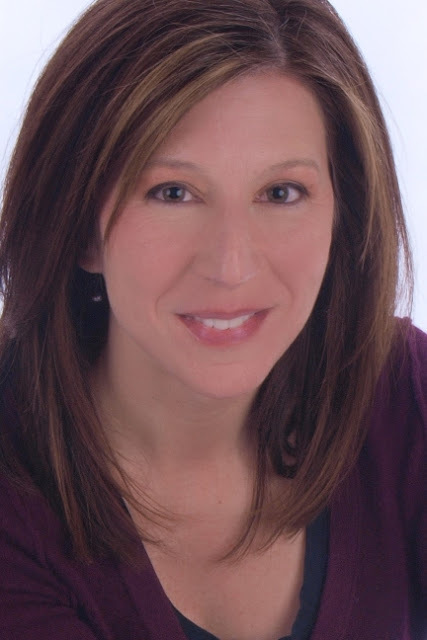 Anna's books include of the Wayward Wallflowers series and the Debutante Diaries series.